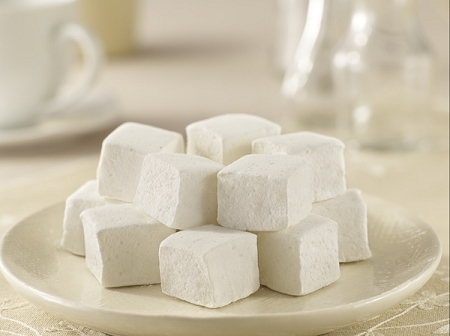 Enjoy the classic simplicity of our delicious and smooth vanilla marshmallows. 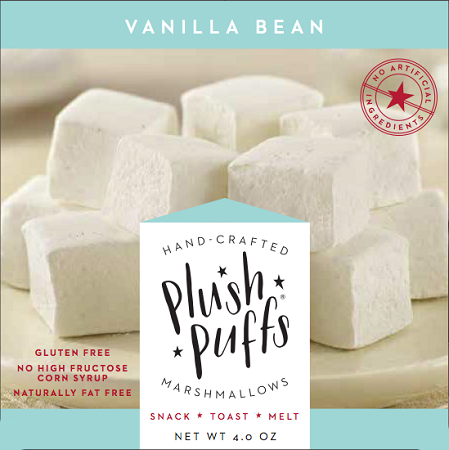 Pure and sweet, Vanilla Bean is made with real vanilla beans and is perfect for roasting, melting into coffee or hot chocolate, and even right out of the box! 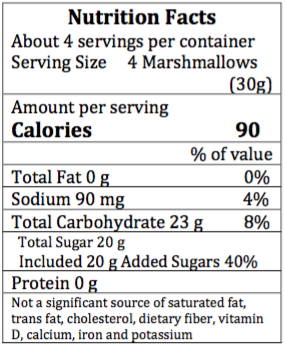 INGREDIENTS: CANE SUGAR, INVERT SUGAR, WATER, BROWN RICE SYRUP, GELATIN, VANILLA EXTRACT, RICE STARCH, NATURAL FLAVORS, SALT AND VANILLA BEAN.